The rosary is a common, Catholic form of prayer that requires much meditation. a meditation on the life of Jesus through the eyes of his loving mother, Mary. The entire rosary is a prayer of Jesus’s life. on the Mysteries of our Redemption through Jesus Christ. Hi, your website is informative. 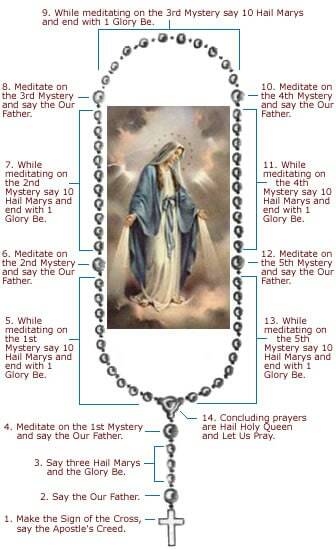 I am curious as to why the rosary was made in such a way that we pray to Mary 10 times before we get to pray to God. I will appreciate it if you can help me make sense of it. The Rosary is about jesus’ life thru Mother Mary’s eyes. She watched her child in agony. As a mother of 5, and I was raised on the Catholic faith, the Rosary male perfect sense. Please remember Jesus’ birth was by GOD from conseption. Your website is awesome!!!! I am in the process of developing one of my own. I would appreciate your input. Would you mind if I put a link to your website on mine? Thank you! Please do put a link. Your site is very nice too. Christ is very cool!